The Tecsun PL-360 has to be one of the coolest looking shortwave portables ever. Yes, it looks like a TV remote control, but it is a very decent receiver. It covers medium wave 520-1710kHz shortwave 2300-21950 kHz and the FM band. Longwave coverage may also be activated. It has a very unique Easy Tuning Mode (ETM). ETM does more the usual ATS. It scans all frequencies without taking up the memory spaces. So you get quick access to all local stations. Great for the traveller. There are also 450 regular memories (100 AM, 100 FM and 250 shortwave) available for tuning into your favorite stations. Another unique feature of the PL-360 is its removable high sensitivity external AM ferrite antenna. This directional antenna clearly enhances AM band reception. The PL-360 even employs DSP (Digital Signal Processing) technology, improving clarity and tone quality. There is even an adjustable sleep timer. The PL-360 can be powered by three AA batteries (not included). 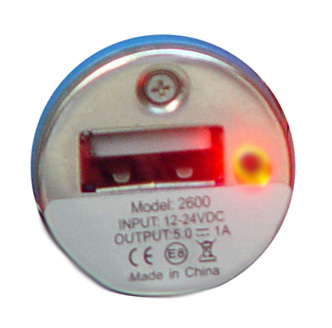 It also has 5V mini-USB DC input jack. 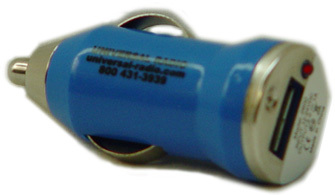 When using the USB jack, the radio can be used to charge the batteries (rechargeable AA batteries only). Your Tecsun PL-360 system includes: MW bar antenna, stereo ear buds, wire antenna and manual. #6799 USB CBL A USB Power / Charging cable only. Copyright 2012-2017, Universal Radio, Inc.